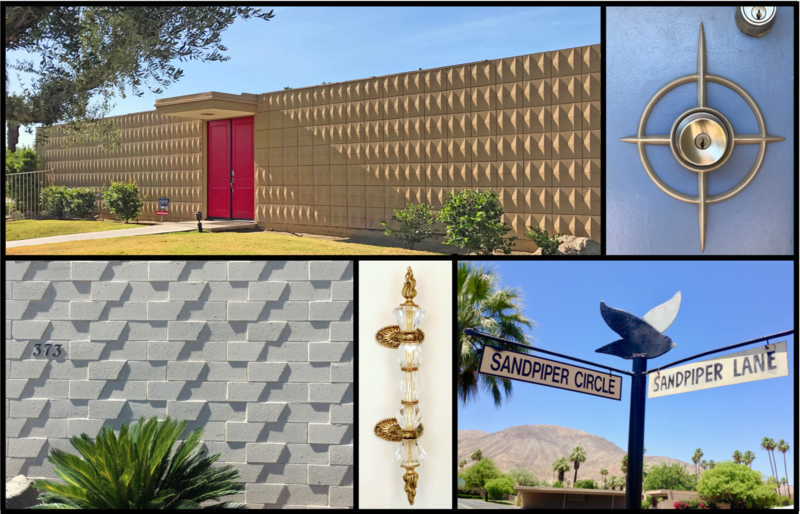 Considered the area's first condominium project, the story of Sandpiper's home designs and its distinctive development plan, is recorded in the annals of the historic society, and documented in books as exemplary examples of mid-century modern architecture and design. 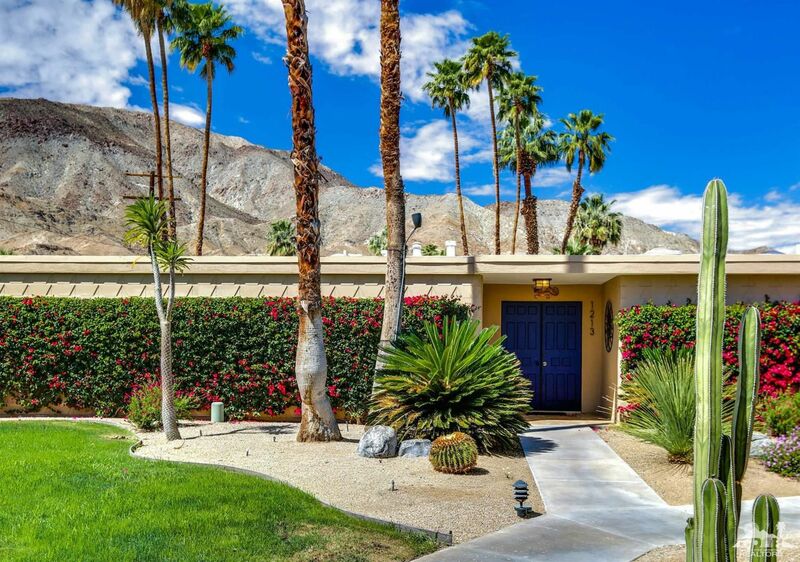 Started in 1958 and completed around 1969, Sandpiper homes with their sleek, clean lines and timeless style are much in demand by mid-century modern purists. Although many units are updated to accommodate our new IT and personal lifestyle needs, the classic styles of these homes are as fresh today, as they were decades ago. The architectural firm of Daniel Palmer and William Krisel designed the development to be "tropically beautiful and beautifully work-free." It was accomplished by constructing Sandpiper's 300-plus homes in circle-shaped clusters centered-around crystal clear swimming pools and luxuriant landscaping to create friendly gathering spaces. Residents today, say they are attracted to life at Sandpiper primarily because of the dramatic mountain views, and fun-friendly amenities, just steps from their doors. In addition to the community pools, common ground entertainment areas features putting greens, shuffleboard courts, barbecues, ice-makers, tables, and lounge chairs, all designed to bring friends, family and neighbors together. The modernist single story structures have flat roofs and characteristically straight lines and pierced block privacy walls. All homes are built for a blended indoor/outdoor lifestyle with large glass walls and private courtyards. The homes vary in size from 1,000 square feet, 2-bedroom, 2-bathroom models, to 2,600 square feet, 3-bedroom, 3-bathroom units. Distinctively designed, open-plan interiors feature 10-foot ceilings, skylights and "glass walls" with sliding doors, wet bars, double vanities in the master bath, walk-in closets, and plenty of modern amenities. Sandpiper homes are well-suited to our 21st Century lifestyle, whether as full-time residences or, as vacation homes. Location, Location, Location. It Doesn’t Get Any Better! Current residents love the walkable community and short stroll to El Paseo, with its fine dining, world-class art galleries and shopping. 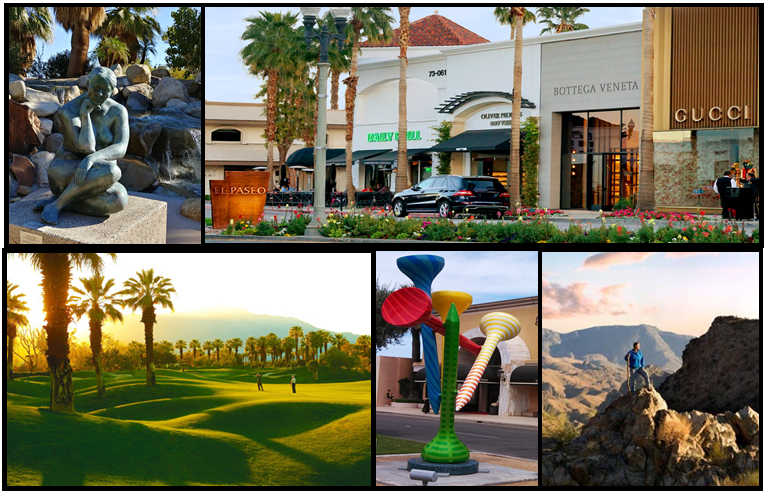 The City of Palm Desert is centrally located in the heart of the Coachella Valley, offering a plethora of nearby entertainment and activities, year-round. Sandpiper is conveniently located at Route 74 and El Paseo, a major plus for persons that frequent California’s nearby mountain and coastal cities. 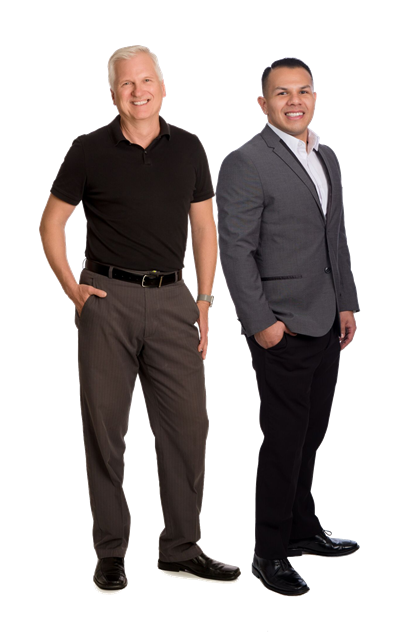 We specialize in the purchase and sale of homes in Sandpiper, and continue to be one of the community's top producing real estate teams. It’s our love of the community and belief in the value and benefit it offers its residents that makes it easy for us to do our job there, and to do it well. We currently have several beautiful homes for sale at Sandpiper. Click here www.Sandpiper4sale.com to see all of the wonderful Sandpiper homes available for sale. Call Dan or Reuben for a personal tour. (760) 625-7229.